Alex Cortex, Lukid and Farben. Sydney&apos;s Hunter Gatherer imprint is one which we&apos;re tipping to become a far more widely known name in the Australian electronic music scene. With three releases under their belt this year already (the first of which from previous Generic Cast contributor, Gardland), the turnaround and quality of the label is impressive. 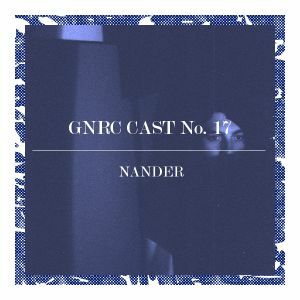 Nander (aka Nick Anderson) is the latest producer to release material for the budding imprint, with two tracks, &apos;Steamer&apos; and &apos;Speech.&apos; Both move into interesting, some what experimental territory, pushing the boundaries of Techno in the process. The mix itself contains a host of unreleased Nander bits - which we can only hope we&apos;ll be seeing more of in the near future.